Dr. R. S. Bedi, M.B.B.S, M.D (Paediatrics) is the director of Bedi Hospital, Chandigarh. Prior to that, he had career stints as a Consultant Paediatrics at the prestigious Moolchand Hospital, Delhi for about a couple of years. Thereafter, he was posted in World Health Organization (WHO), California, USA as a Consultant Paediatrician for a tenure of about four & half years. After returning back to India, he served General Hospital in U.T. Health Department for about six & a half years in the department of Paediatrics. Dr. Bedi is an alumnus of the prestigious Dayanand Medical College (DMC), Ludhiana. After completing his basic medical studies(MBBS), he pursued Diploma in Child Health from Government Medical College Amritsar. 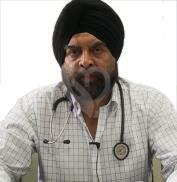 Subsequently, he completed his post Graduation, M.D (Paediatrics) from DMC, Ludhiana. General Paediatrics including Adolescent Medicine, Allergy, Endocrinology & gastroenterology. Infectious Childhood disease- Measles, Mumps & Chickenpox. To his credits, he was former State President of IMA, Chandhigarh. Later, he was elected as National Vice President of the Indian Medical Association(IMA) in the year 2012. Also, he has been awarded as the Best State Branch President of Indian Medical Association at 86th National Conference of Indian Medical Association at Bangalore. Besides, during his practice in California he was honoured as honorary citizen of California, U.S.A. He has been noted as a great orator in various conferences held nationally. Dr. Bedi is a member of various national professional associations of Paediatrics. He is always in pursuit of the latest studies and new technologies in the field of Paediatrics making his work lateral with the international standards.